Drivers should expect delays and consider alternate routes as southbound traffic on Vista Drive will be shifted east into the turn lane on Thursday, November 29, 2018 between the hours of 7:00am and 7:00pm. Traffic may also be stopped temporarily in work zone. Flaggers will be on site to assist traffic. 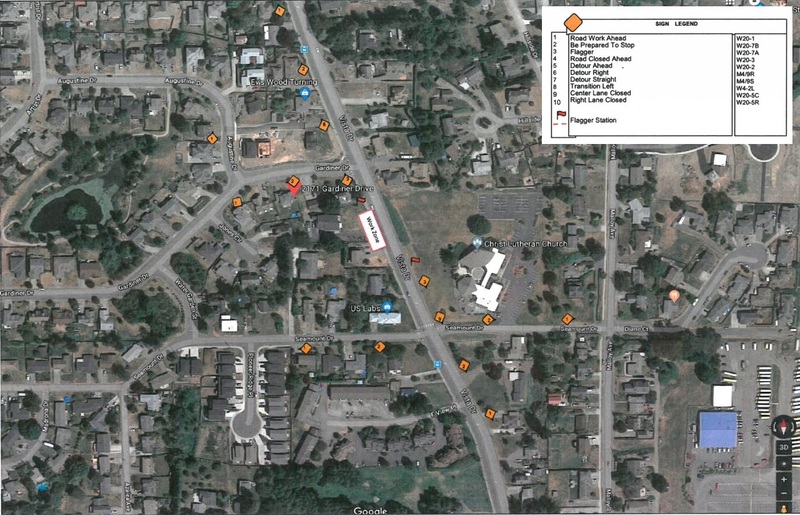 This road closure is to complete utility work associated with a private development project. See attached for the Traffic Control Plan.